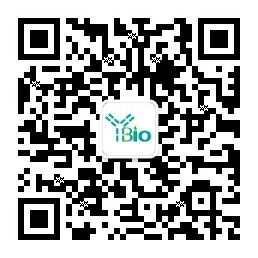 别 名 succinate dehydrogenase complex，subunit B; mitochondrial; DHSB_HUMAN; Ip; Iron sulfur subunit; Iron sulfur subunit of complex II; Iron-sulfur subunit of complex II; PGL 4; PGL4; SDH 1; SDH; SDH1; SDH2; SdhB; SDHIP; Succinate dehydrogenase [ubiquinone] iron sulfur protein mitochondrial; Succinate dehydrogenase [ubiquinone] iron-sulfur subunit; Succinate Dehydrogenase 1 Iron Sulfur Subunit; Succinate dehydrogenase complex subunit B iron sulfur; Succinate Dehydrogenase Complex Subunit B Iron Sulfur Protein; Succinate dehydrogenase iron sulfur protein. Iron-sulfur protein (IP) subunit of succinate dehydrogenase (SDH) that is involved in complex II of the mitochondrial electron transport chain and is responsible for transferring electrons from succinate to ubiquinone (coenzyme Q). Component of complex II composed of four subunits: the flavoprotein (FP) SDHA, iron-sulfur protein (IP) SDHB, and a cytochrome b560 composed of SDHC and SDHD. Mitochondrion inner membrane; Peripheral membrane protein; Matrix side. Defects in SDHB are a cause of susceptibility to pheochromocytoma (PCC) [MIM:171300]. A catecholamine-producing tumor of chromaffin tissue of the adrenal medulla or sympathetic paraganglia. The cardinal symptom, reflecting the increased secretion of epinephrine and norepinephrine, is hypertension, which may be persistent or intermittent. Defects in SDHB are the cause of paragangliomas type 4 (PGL4) [MIM:115310]. A neural crest tumor usually derived from the chromoreceptor tissue of a paraganglion. Paragangliomas are most commonly located in the head and neck region, specifically at the carotid bifurcation, the jugular foramen, the vagal nerve, and in the middle ear. Defects in SDHB are a cause of paraganglioma and gastric stromal sarcoma (PGGSS) [MIM:606864]; also called Carney-Stratakis syndrome. Gastrointestinal stromal tumors may be sporadic or inherited in an autosomal dominant manner, alone or as a component of a syndrome associated with other tumors, such as in the context of neurofibromatosis type 1 (NF1). Patients have both gastrointestinal stromal tumors and paragangliomas. Susceptibility to the tumors was inherited in an apparently autosomal dominant manner, with incomplete penetrance. Belongs to the succinate dehydrogenase/fumarate reductase iron-sulfur protein family. Contains 1 4Fe-4S ferredoxin-type domain.